I’m supposed to be working on an assignment for my Diploma but this news is SO IMPORTANT that I had to give myself a 5 minute break to share it with everyone. This wonderful news is already out there on various genie Facebook pages but I know a lot of people don’t use Facebook so I thought it was worthwhile adding it to my Blogs . The initial screen is dated 10 November 2015 so this is very new. Victorian BDMs are now FREE to search online! Last night I was reading my journal from the Birdwood & District Family History Society – it included a lot of notes on the NSW & ACT Conference in Port Macquarie. Amanda Ianna from NSW BDMs announced that Lifelink (their BDM Search Software) had been “purchased by Victoria and NZ and other states have shown interest. More money could then be thrown at putting records online.” So I didn’t dream it – it works beautifully. One disappointment – NSW version of deaths doesn’t show age – that would be a good ‘new feature’ if it’s a possibility. BUT really good option not in NSW – you can search ALL types of events at once! Victoria is probably now the leader in family history search for BDMs – free online searching and instant digital downloads at one of the best prices in Australia – $24.00. Congratulations to the Victorian Registry of BDMs – some years back they stated they wanted to put BDM searches online for free but their software couldn’t handle it and they didn’t have a budget for new software. We complained at the years NSW spent trying to get their online BDM software to work but thankfully they persevered and Victoria is the beneficiary. Celebrate and pass on the good news. 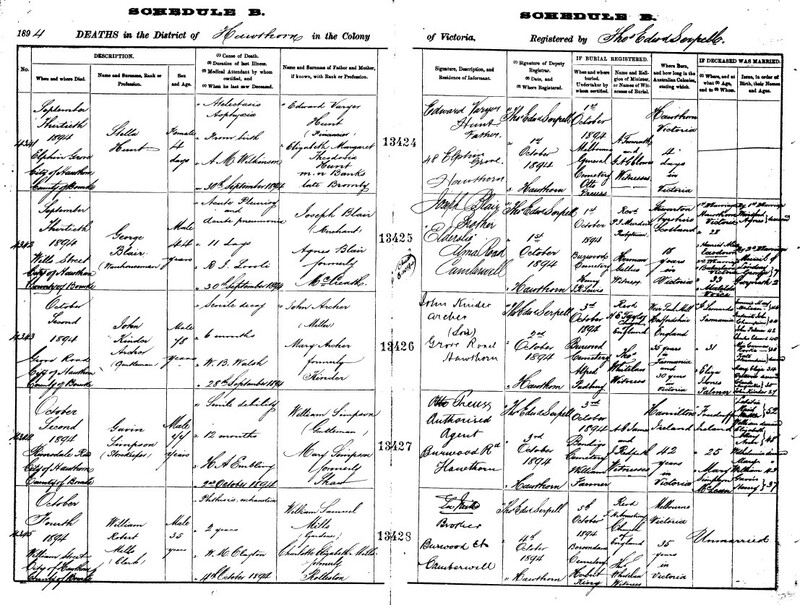 I first saw this online on Australian Genealogy – a great Facebook page. It’s closed so you have to request to be added – it is a well-moderated Facebook page that keeps on-topic and is a joy to be on. UPDATE – make sure you click on the entry of interest – this displays more information – for some records this includes the FULL place of registration AND the place of the event – different for different events and it appears that more is being added so it’s worth checking now and again. Next Really, really, really important news! Excellent news, thank you very much Susie for making us aware of it.